Rolf Suey - Better Late Than Never: How much do you know about Temasek Holdings? Most adult Singaporean will know that Temasek Holdings is the investment company owned by the Government of Singapore. It is also well-known that the company is run by our Prime Minister’s wife Ho Ching operating as the Executive Director and CEO of the company. Aside from knowing what Temasek does and who runs it, how much do you know about Temasek Holdings? As a Singaporean and avid investor, I feel compel to find out more about Temasek portfolio and performance. Let us then take a closer look into one of our country’s largest investment company. Temasek Holdings is owned by Government of Singapore Investment Corporation (GIC), a sovereign wealth fund that manages Singapore foreign reserves. GIC’s assets stand at US$330b. As many may have misunderstood, Temasek Holdings is neither a statutory board nor a government agency. It operates under the provisions of the Singapore Companies Act and has its own board of directors and a management team. It pays taxes to tax authorities and distributes dividends to its shareholder, the Singapore Ministry of Finance. Incorporated in 1974, Temasek has many global offices and a multinational team of over 450 people. This year, it opened a New York Office. Chairman of Temasek is ex-minister Lim Boon Heng. Temasek owns and manages a net portfolio of S$223b (US$177b) as of Mar 2014, mainly in Singapore and Asia. Its portfolio covers a broad spectrum of sectors including financial services, telecommunications, media and technology, transportation and industrials, life sciences, consumer, real estate, as well as energy and resources. Temasek is one of a few global firms assigned with the highest overall corporate credit ratings of "AAA" by Standard & Poor's and "Aaa" by Moody's. It has also attained perfect quarterly scores on the Linaburg-Maduell Transparency Index, a measure of the openness of government-owned investment funds. 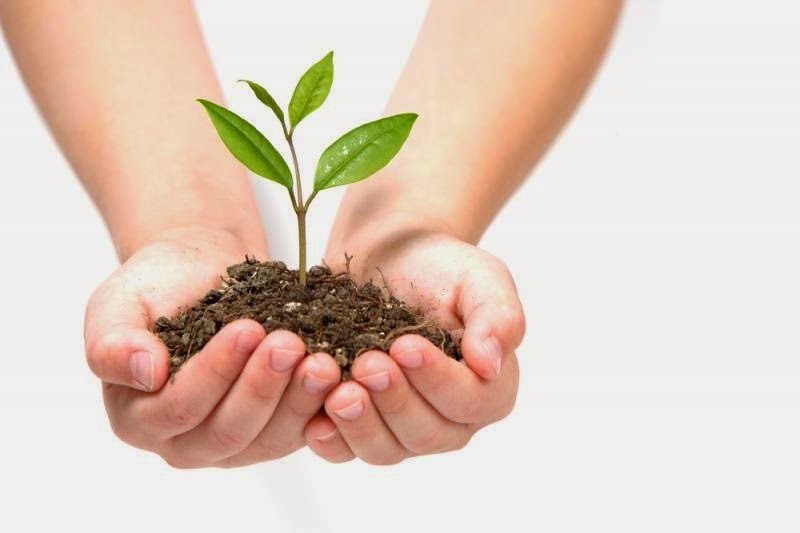 Aside from investments, Temasek is also heavily involved in community and charitable activities. Temasek’s portfolio grows from S$354m in 1974 to a Portfolio of S$223b today. In the last ten years, portfolio has more than doubled from S$90b in Mar 2004 to S$223b in Mar 2014. Group shareholder equity is S$187b, up S$122b from 10 years ago. Over 70% of Temasek’s portfolio was held in liquid and listed assets. Group net profit in the last year is steady at S$11b, above group average of net profit S$10b a year. TSR in the year is 1.5% in Singapore dollars mainly due to weakness in key markets in Asia. Compounded annual return over last 10 years was 9%. Longer term 20 year TSR was 6%. Since inception in 1974, compounded annual return is 16%. TSR excludes capital injections from shareholder and includes dividends paid to our shareholder. Temasek finance their investments primarily using dividends from their portfolio companies and divestment proceeds. The company also claimed that they make sure its Total Reserves equal or exceed its past reserves, such that there is no draw on past reserve. This includes making sure that every divestment is done at a fair market value. Temasek Portfolio comprised mostly equities. The top three countries in our portfolio, based on the underlying assets, are Singapore, China and Australia at 31%, 25% and 10% respectively, as at 31 March 2014. Temasek underlying exposure to North America and Europe grew to over 14%, up from 12% the previous year. Last year, Temasek made S$24b in new investments, while divesting S$10b having a net S$14b investments. This is very active and doubles the average annual net investment level of S$7b for the past decades. Half of the investments were in Asia and two-fifths in Europe and North America. In the last 10 years, Temasek invested almost S$180b and divested nearly S$110b i.e. net S$80b. Temasek's existing underlying assets are spanned across six major sectors. Taking the lead is Financial Services at 30% of Temasek total portfolio with major holdings in DBS, China Construction Bank and Standard Chartered each worth more than S$10b. Telecoms, Media and Technology come next at 23% of total portfolio of which more than S$30b holding comes from Singtel’s 52% stake. Major stakes in other Singapore companies include ST Telemedia, Mediacorp, and STATs ChipPAC. The company also has major stakes in China Alibaba, India Bharti Airtel, Thailand Intouch and USA Markit. The Transportation & Industrial key portfolios includes mostly of Singapore companies such as PSA, Singapore Power, SIA, Sembcorp, Keppel Corp, NOL, SMRT and one German company Evonik. Major stakes in Life Science, Consumer & Real Estate sector includes Mapletree Investments and CapitaLand with holdings worth approx. 8.3b and 4.8b respectively. Energy and Resource portfolio comprise of more than USD1b holdings in USA Fortune 500, The Mosaic Company, a major producer of fertiliser, EUR2b investments in Spain oil company Repsol SA, and S$2b stake in our very own Pavillion Energy. The top three sectors for investments during the past financial year were Financial services, Life sciences and Energy. Industrial and Commercial Bank of China (ICBC): increase holdings in to 2.2%. Gilead Sciences, a major developer of treatments for cancer HIV and other infectious diseases. Invested almost US$1b. Thermo Fisher Scientific, a provider of laboratory equipment and consumables. Invested US$500m. BG Group, a UK-listed oil and gas company. Invested £235 million. Pavilion Energy, a Singapore company which focuses on LNG sourcing, supply and solutions. Invested S$2b. Seven Energy, an oil and gas producer in Nigeria. Invested US$150m. A.S. Watson purchased from Hutchison Whampoa for US$5.7b invested worth 24.95% stake. Divestments during the year included part of Temasek's stakes in Bharti Telecom and Seoul Semiconductor. The company also completely exited investments in Tiger Airways, Cheniere Energy and Youku-Tudou. 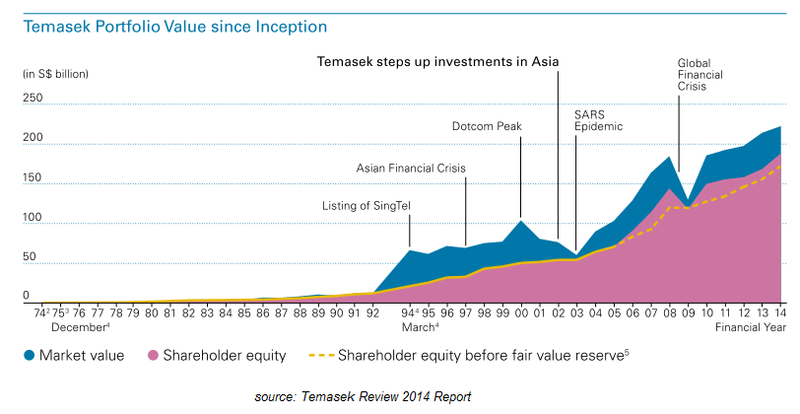 Temasek started 40 years ago and had since achieved spectacular portfolio growth from S$354m to S$223b. This means that S$1k investment in 1974, will be worth S$630k today. As Singaporean, I am so glad that Singapore started investing in the early years after independence and attained such commendable results. This is definitely an important lesson to advocate individual Singaporean to start investing early as well. Temasek says that their journey has just begun. I consider my investment journey also just begun. As Singaporean and CPF account holder, I benchmark myself against Temasek and GIC long-term investment return LOL!